Bradenton, FL—The Concession Cup hosted its Opening Celebration last night in advance of the second installment of the biennial amateur team match-play competition at The Concession Golf Club, located in Bradenton, Fla., April 21–23, 2016. The evening was special for all in attendance, highlighted by an unforgettable conversation between the event’s emcee and host, NBC Sports’ Gary Koch, Honorary Chairman Paul Azinger, Honorary Captains Jack Nicklaus and Tony Jacklin, and special guest Urban Meyer from The Ohio State University. In addition, team members from both the United States (US) and Great Britain & Ireland (GB&I) were recognized through a team presentation. The Opening Celebration was also designed to provide philanthropic support to six very deserving charities: The Nicklaus Children Health Care Foundation, Orphan’s Heart, The First Tee of Tampa, The First Tee of Sarasota/Manatee, Rainbows and the Amateur Golf Alliance. To that end, this year’s Celebration raised a record $237,250 on behalf of these worthy organizations. The 2016 amount equals the largest single-year donation in the Cup’s history, and when combined with the inaugural event in 2014 has now generated more than $414,000 for charitable causes within the Bradenton / Tampa / St. Petersburg area. 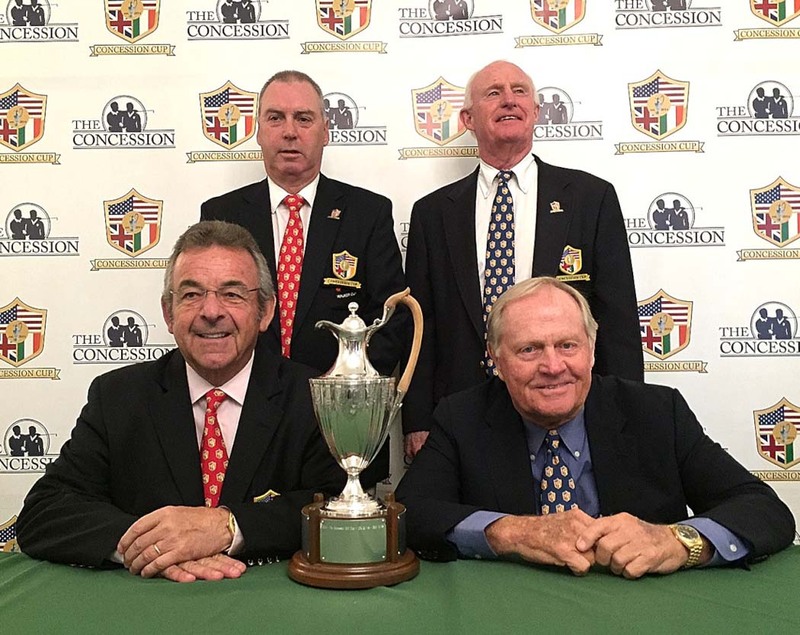 The Concession Cup will deliver a world-class experience for its participants, sponsors, volunteers, attendees and members of The Concession Golf Club while showcasing top amateur golfers from around the world in the true spirit, character and competitiveness of amateur golf, all for the benefit of charity. The Concession Cup is open to the public Thursday, April 21 through Saturday, April 23. For general tournament information please visit www.concessioncup.com.